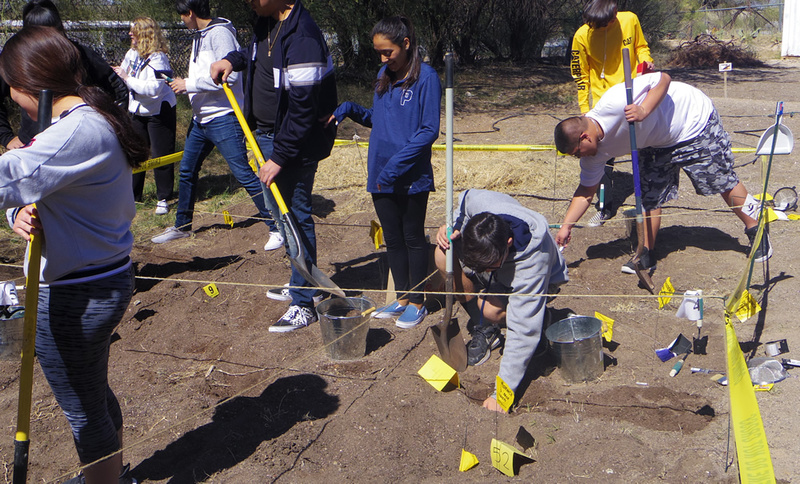 On Monday, Jan. 26, science teacher Ms. Elaine Straub set her forensics science students “free”—so to speak—letting them venture to Pueblo’s garden to dig up some bones. Indeed, Straub’s forensics science students were excavating bones in order to solve mock “crime scenes”. For three years now, Straub wholeheartedly believes that kinesthetic learning works best in her forensics classes. Straub added that she plans to continue this activity for as long as she teaches forensics science. Sophomore Jacquelyn Gutierrez describes herself as an enthusiastic member of the forensics class. “I really like participating in the crime scenes that Ms. Straub creates for us because it gives us a taste of the real world,” she said.